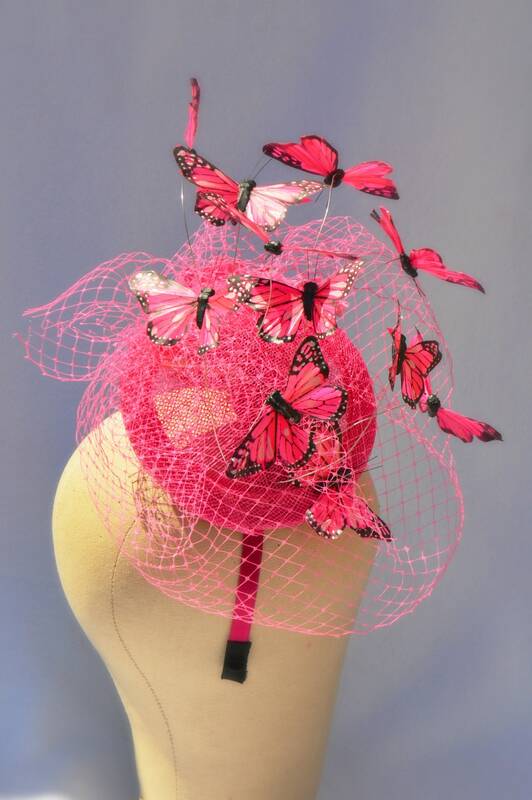 MAGICAL BUTTERFLY FASCINATOR Hat -Pink Pink Pink - British Royal Ascot, Kentucky Derby, Belmont and parades - handmade with care by Jaine. This is an amazing fantasy piece, my photograph does not do it justice. 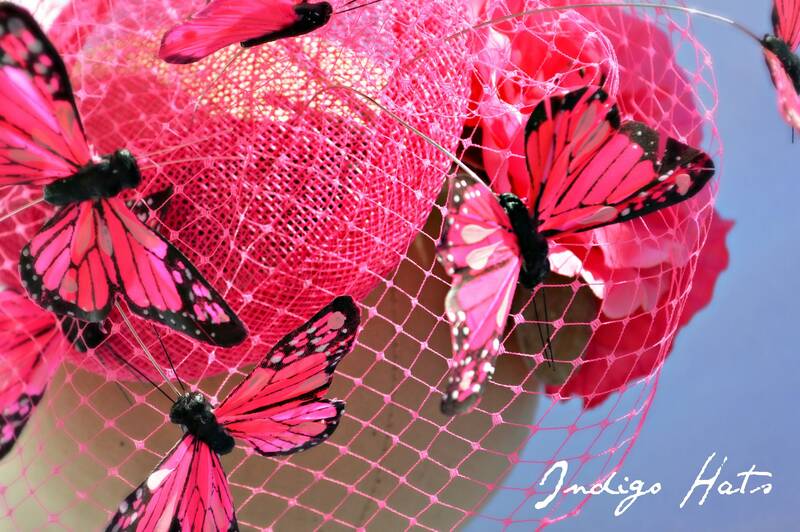 Feather butterflies dance around your head in this other worldly headpiece. 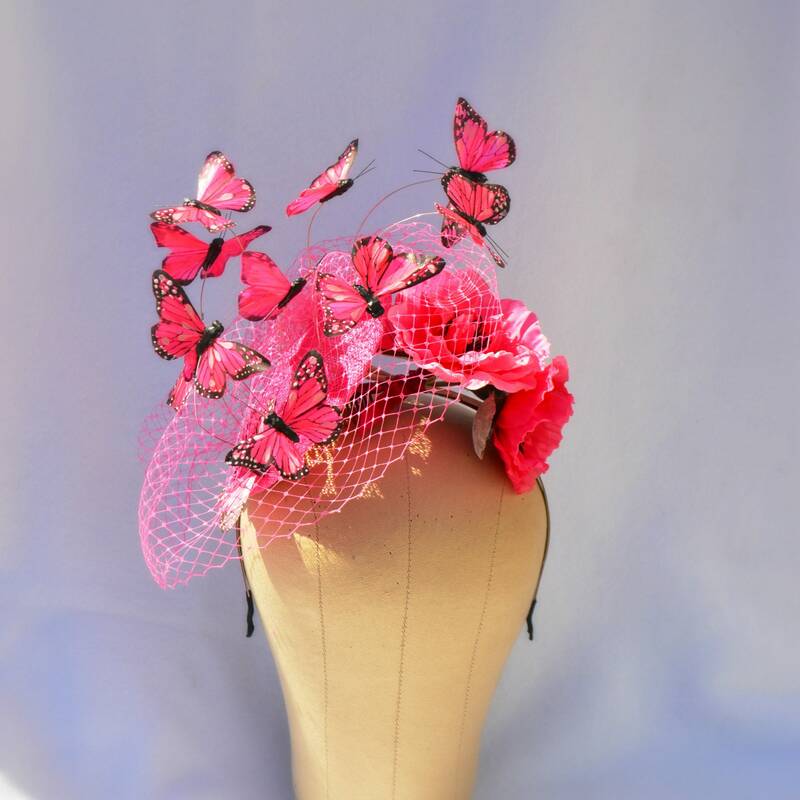 I added matching pink poppies to this fascinator along with a matching pink veiling. 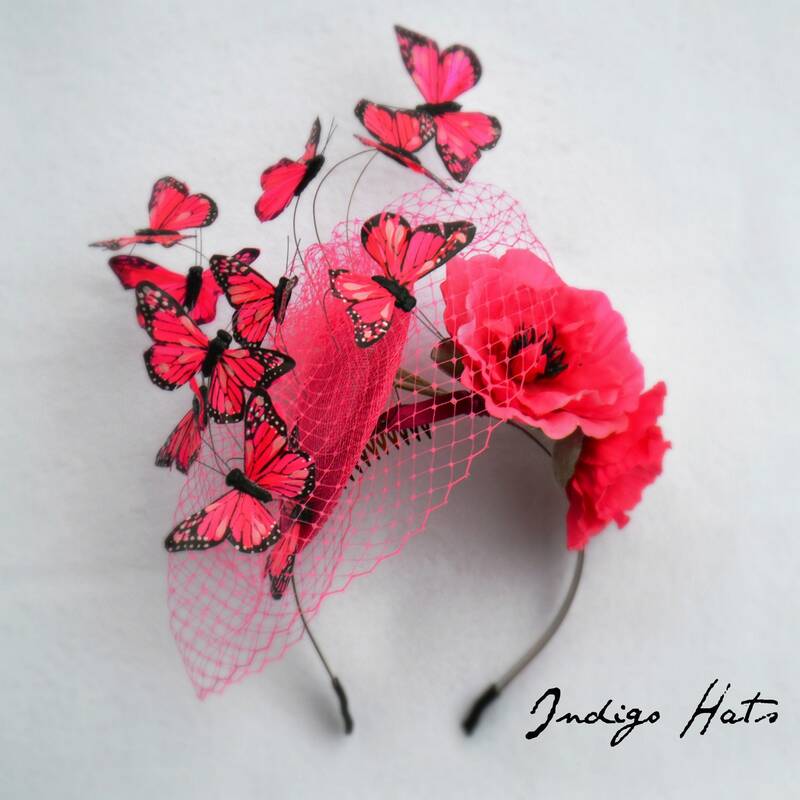 I also have butterflies in other colors, let me know if you are interested and I'll send you pictures. 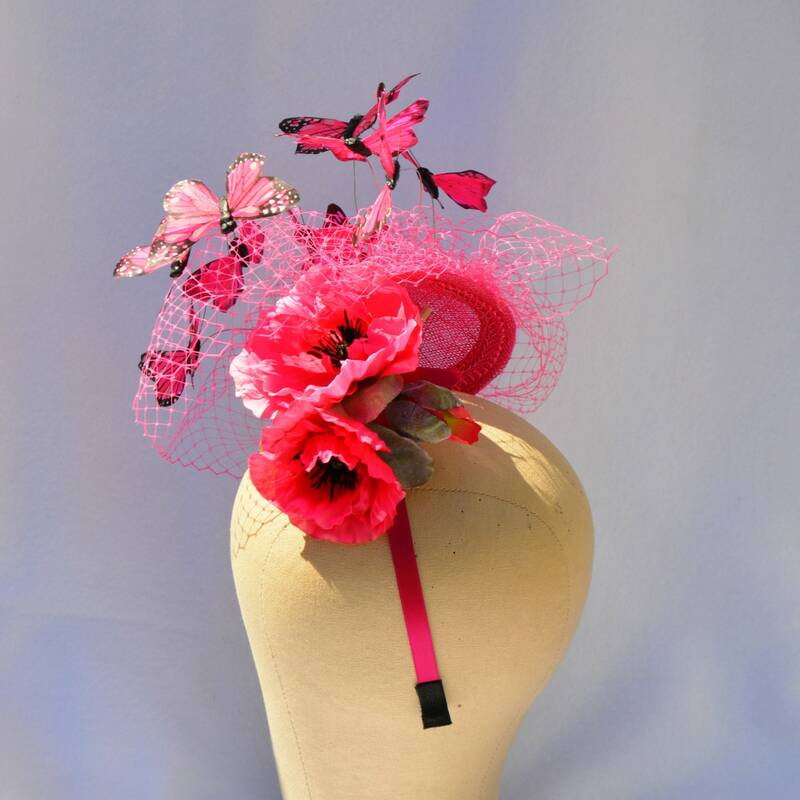 Its set around a 6" pink handmade sinamay base attached on a saucy angle to a pink headband.